Below are the photographs that inspired so many of our makers during the 2 years of the project. 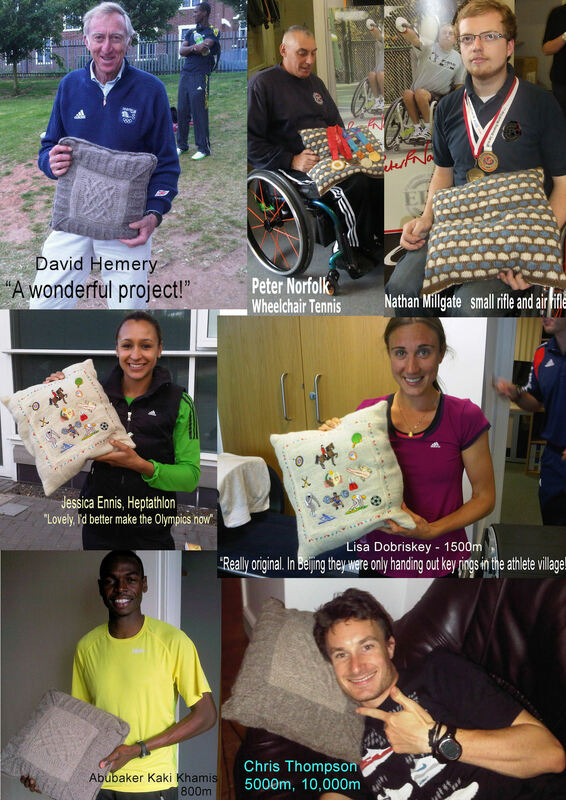 Now the Woolsack Cushions 2012 Games project has come to a close we've collected some of the comments from makers and recipients about what Woolsack has meant to them. 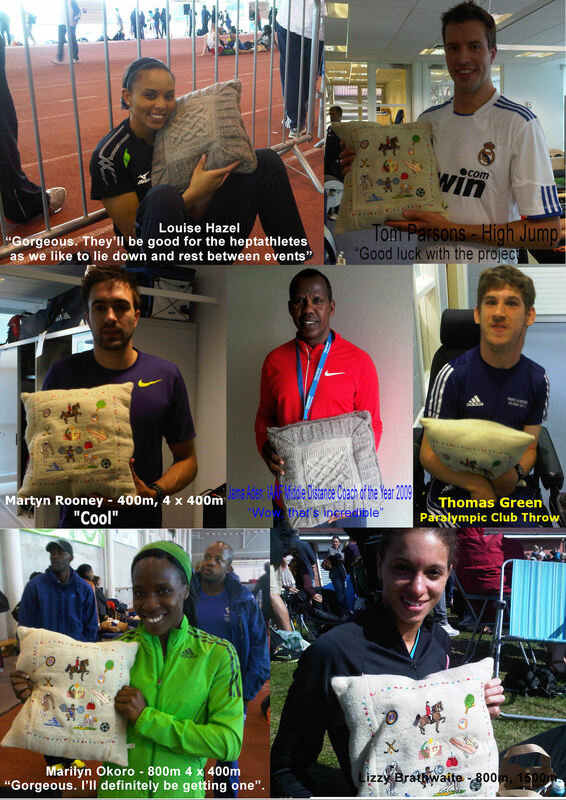 Early on in the project we sent some cushions to a few of our UK elite athletes. We wanted to find out what they thought about them and the whole idea of the project. Their response was far more than we'd dared to hope - they love the cushions! For those of you making cushions, I hope you will be inspired by these photographs that the athletes took of each other, and by their comments.